The International Atomic Energy Agency (IAEA) reports that Iran may have built an extension to its Parchin nuclear weapons testing facility since May, making it impossible to determine how far along Iran was in nuclear weapons research before entering into its farcical deal with the P 5+1 (Hat Tip: Memeorandum). 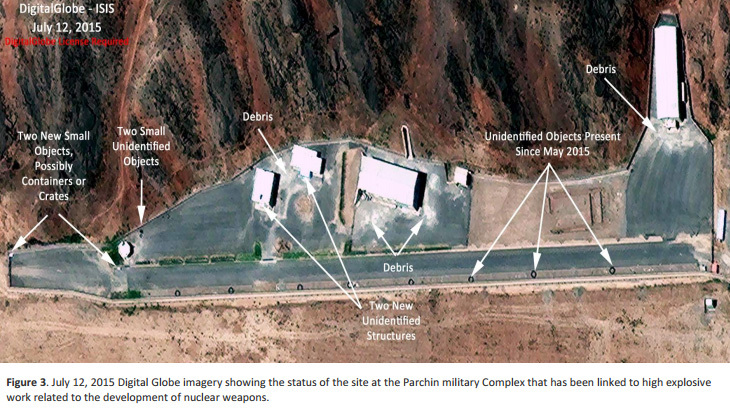 "Since (our) previous report (in May), at a particular location at the Parchin site, the agency has continued to observe, through satellite imagery, the presence of vehicles, equipment, and probable construction materials. In addition, a small extension to an existing building" appeared to have been built. The changes were first observed last month, a senior diplomat familiar with the Iran file said. The IAEA says any activities Iran has undertaken at Parchin since U.N. inspectors last visited in 2005 could jeopardize its ability to verify Western intelligence suggesting Tehran carried out tests there relevant to nuclear bomb detonations more than a decade ago. Iran has dismissed the intelligence as "fabricated". "We cannot know or speculate what's in the (extended) building ... 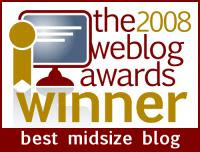 It's something we will technically clarify over the course of the year," the senior diplomat said. The report said the extended building was not the one that some countries suspect has housed the controversial experiments. "It’s funny that the IAEA claims there has been a small extension to a building ... Iran doesn't need to ask for the IAEA's permission to do construction work on its sites," Reza Najafi, Iran's envoy to the agency, was quoted as saying by ISNA news agency. I can't even say what I'd like to say about this. Certainly not in any forum that is likely to be widely dispersed. Messiah should be arriving soon. It's the only solution. Well, I say it's not in our human job description to be addressing life situations (such as Nukes!) in such a way to create chaos for Messiah's arrival. Our job is to make life on earth the best we can. Isn't that what the Torah says to do? Please G-d! Amain, kain yehi ratzon!!!! I'm so ready for him to come. Iran to pay for its own 'nuclear inspections'?